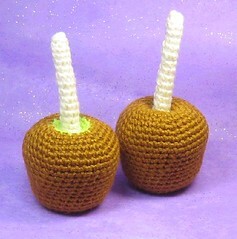 Here are candy apples I made. The crochet pattern is available here. This was a result of a pattern request by a lady on etsy last year. Thank you for looking!